Executive Director Update: So Much Happening In Amesbury! I can’t believe we’re halfway through August – I’m not ready for summer to be over! We’ve had so many fun things happening this summer, and we’re excited for everything still to come. I’ve been out and about a lot in the last couple of weeks, and wanted to share some important news and updates with our members and the community. I attended the North Shore Chamber Executive Meeting last week, where I learned that our members can attend up to 2 events per year (2 events total, not 2 events per Chamber) held by the Chambers listed below. It’s a great opportunity to network in a new community! 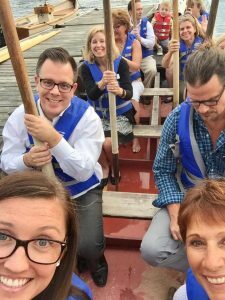 We held the Summer Soiree at Lowell’s Boat Shop & Museum last Monday, and it was a hit! It was our first time having an event at Lowell’s, and it couldn’t have gone better. We had so many new members in attendance, it was a great networking opportunity for everyone! For those who were interested, Lowell’s put us in a boat and one of their instructors, Alice, taught the group how to row! I can’t say I did all that well, but it was a ton of fun and it was awesome to see Amesbury from the river. We can’t wait to hold another event with them next year. I’ve been talking with the planners of the Amesbury Harvest Fair and Country Music Festival and want to make sure that everyone’s ready for this fun weekend! It’s coming up quickly, September 22-24, and it’s going to have a big impact on the businesses of Amesbury. The organizers are expecting around 3,500 people per day, which means that everyone should start planning! The majority of the music and events that weekend will be at Landry Stadium, but there will also be a stage right in Market Square (Friday evening, Saturday and Sunday 12-6PM). Non-food vendors are welcome to apply for a booth in Market Square, and restaurants can apply to sell food at Landry Stadium. 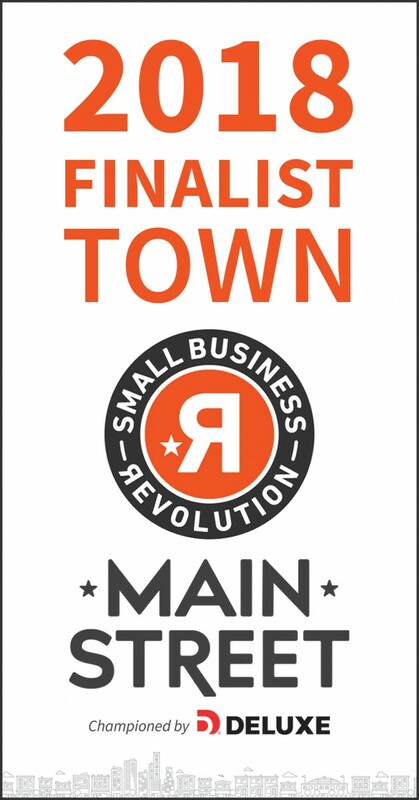 Think about creative ways to get people into your store or restaurant, since there will be more foot traffic downtown! We’re looking forward to our Ladies Golf Tournament in September, and we still have 3 team spots available! We also have some awesome opportunities for local businesses to advertise at the event. You can be a Tee Sponsor ($100), a Swag Bag Sponsor ($250) or a Golf Cart Sponsor ($1,000). It’s an easy and fun way to advertise your business at a local event! If you’d rather not be a sponsor, we are also looking for raffle items! For more information on sponsorships or getting involved, just send me an email. If you’d like to sign up for one of the available teams (and they may sell quickly!) call the office to reserve your spot, 978-388-3178. Lastly, I was invited by the Merrimack Valley Planning Commission to join a new task force they are creating about Priority Development Areas. We’ll be talking about all of the ways to promote our local region as a great place to do business. I’m really looking forward to getting involved with them and bringing more business to Amesbury! I’ll keep you updated on what we’re working on as we get going. Well, that’s all for now! Stay tuned for another update soon, and as always, if you have any questions just stop into the office or give us a call.